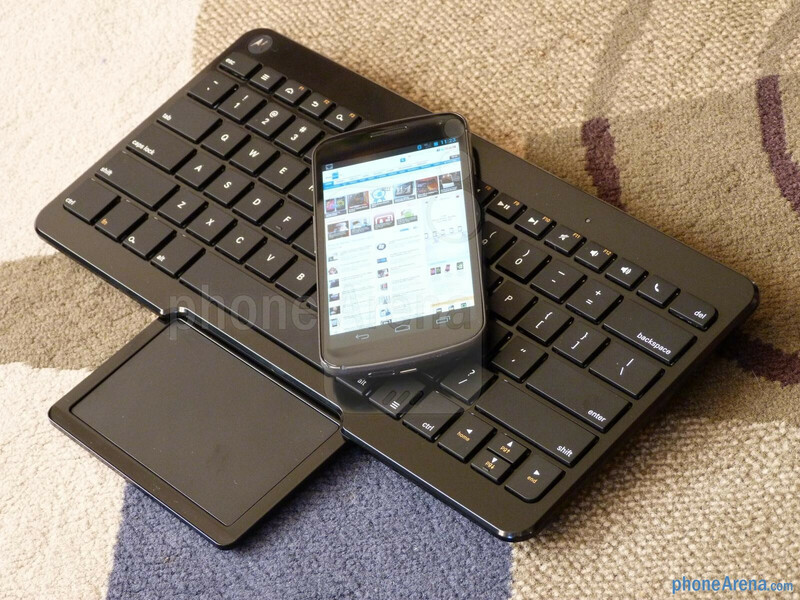 Did you happen to pick up either the Motorola DROID XYBOARD 8.2 or 10.1? Well, if you did, you’ll take interest in a complementary accessory that’s specifically geared to work with the Honeycomb flavored tablets. 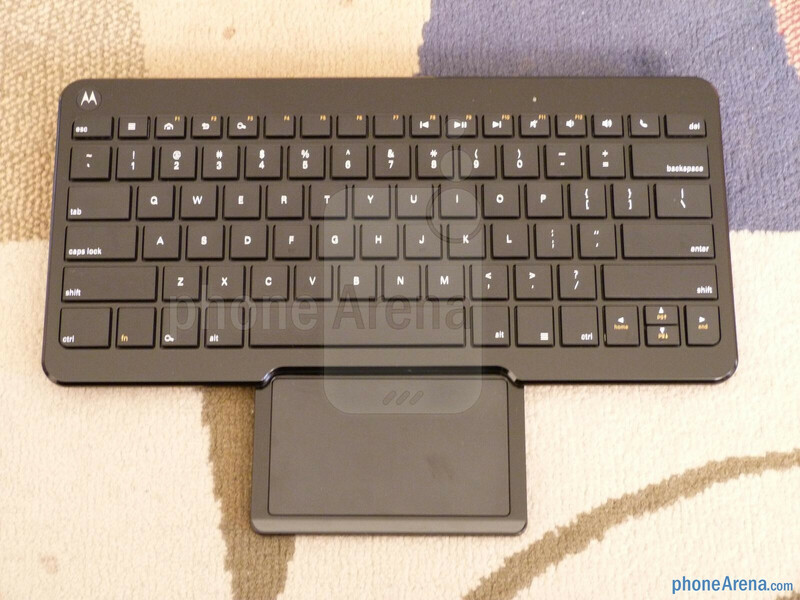 Just like the original Motorola XOOM, the arrival of these DROID XYBOARD tablets brings forth yet another accessory in the form of the Motorola Wireless Keyboard with Trackpad. 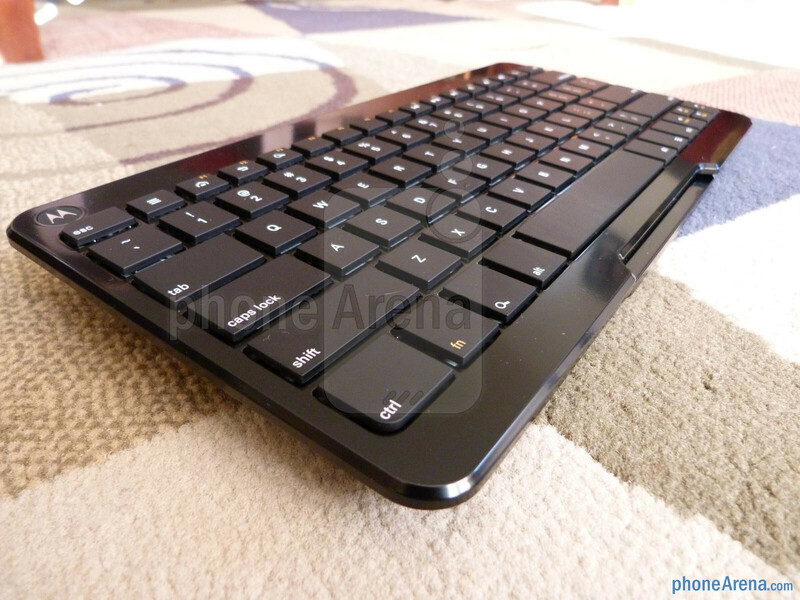 Obviously, like what its name implies, it’s a compact Bluetooth keyboard that packs a useful trackpad within its body. Needless to say, the nice thing about this one is that it’s compact and fairly lightweight – thus, making it very easy to bring around anywhere. On top of that, we find it extremely easy to use thanks to its spacious layout, raised chicklet style buttons, and tactility. Furthermore, with the aid of its slide-out trackpad, we’re treated to a desktop-like experience in navigating through some Android powered devices. Using a Verizon Galaxy Nexus and a DROID XYBOARD 8.2, it’s very nice that a mouse pointer is displayed on both devices to give us an easy time navigating around the platform. 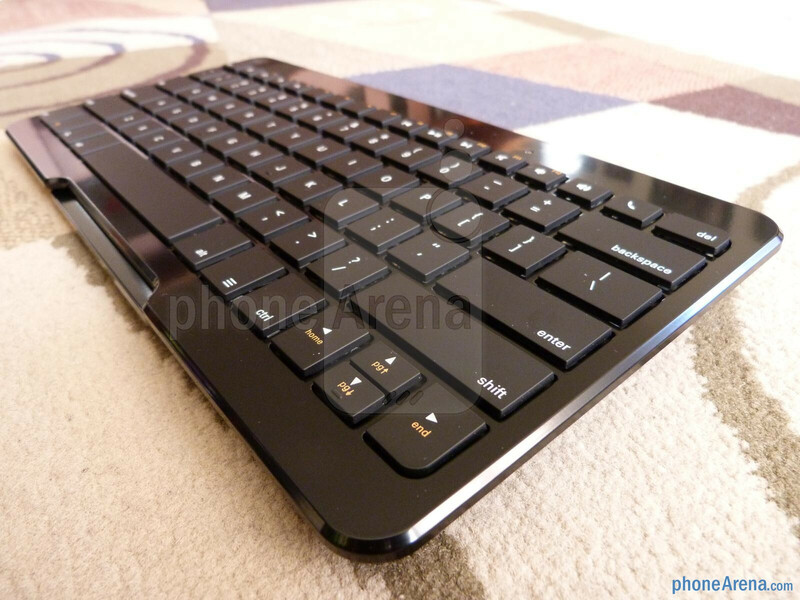 Even though it’s mentioned to be a universal keyboard, you can tell that Motorola specifically prepared this one to work with Android due to the corresponding Android buttons (home, back, menu, and search) that are placed on the top row. Interestingly enough, it’s mentioned to offer multi-touch gestures like scroll, swipe, and pinch-to-zoom, but when using it with the two devices, they didn’t work. Simply, we can execute a zoom function within the web browser by double tapping the trackpad, but those gestures simply don’t work – just yet. Powered by two AA batteries, which are included in the box thankfully, it’s unknown how long it’ll provide juice to the keyboard, but we’re seriously hoping that it gives at least a couple weeks. 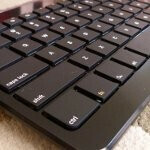 Nevertheless, the Motorola Wireless Keyboard with Trackpad is a pricey investment at $99.99 through Verizon or Motorola. It’s not a mandatory item for everyone, but if you have the disposable income to blow, then it might prove to be a worthy thing for your needs.